La Crescenta is a census-designated place and unincorporated community located in the San Fernando Valley region. La Crescenta is located near Palm Springs, Montrose, La Canada Flintridge, Burbank, Eagle Rock, Tujunga, Glendale, Altadena, Garvanza and Highland Park and is comprised of the 91012 and 91214 zip codes. 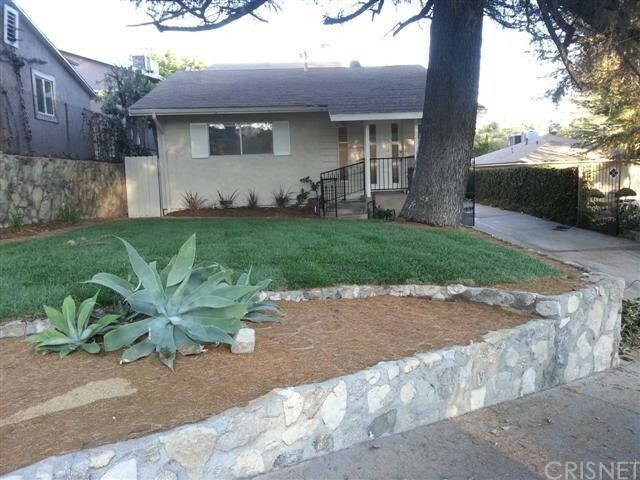 The real estate conditions in La Crescenta are considered to be a "Seller's Market", which means the demand to purchase homes is greater than the supply of homes available for sale. Description: super motivated sellers!!! submit all reasonable offers today!!! adorable la crescenta pool home nestled in a quiet area high above foothill, yet centrally located to shopping and transportation. new flooring on the entire first floor, freshly painted exterior & most of the interior rooms, beautifully landscaped front yard w/nice curb appeal. tax records reflect a 4br/2ba, however, the house has 2br/2ba/family room w/fpl downstairs (family room adjacent to the kitchen) and another bedroom w/fpl and master bathroom upstairs (permits for any room modifications/alterations have not been verified by listing agent---buyers to check for permits w/city). the family room with fpl downstairs could be used as a bedroom. the garage has been converted to a guest house with 3/4 bathroom (permits for the garage conversion is unknown by listing agent---buyers to check for permits w/city). nice sized backyard, perfect for the kids to play and for summer entertaining. please see very important agents remarks for details and special instructions on submitting offers and pre-approval requirements. submit all reasonable offers today!!! Listed By: Susan Broussalian of Oakmont Real Estate Srvcs,inc.